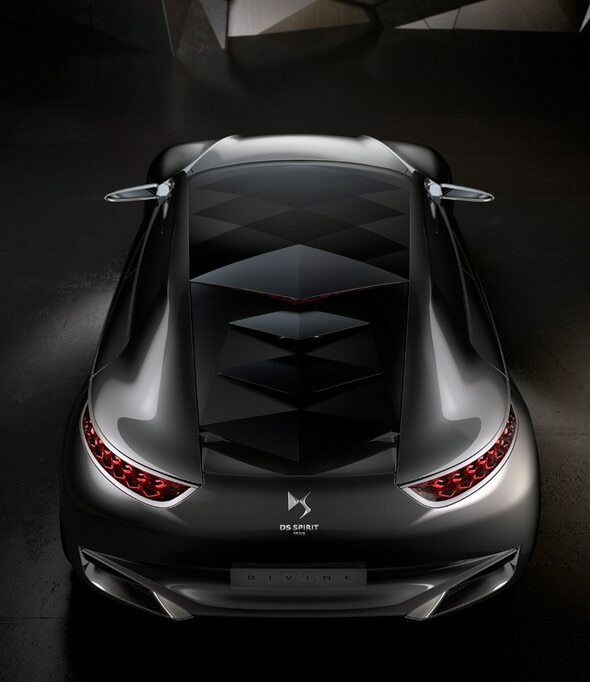 Divine DS represents a vision of the future for the DS Brand, combining sophistication with advanced technology. This concept car has a unique and expressive personality. This is a concept with a stand-out exterior and an exceptional interior. 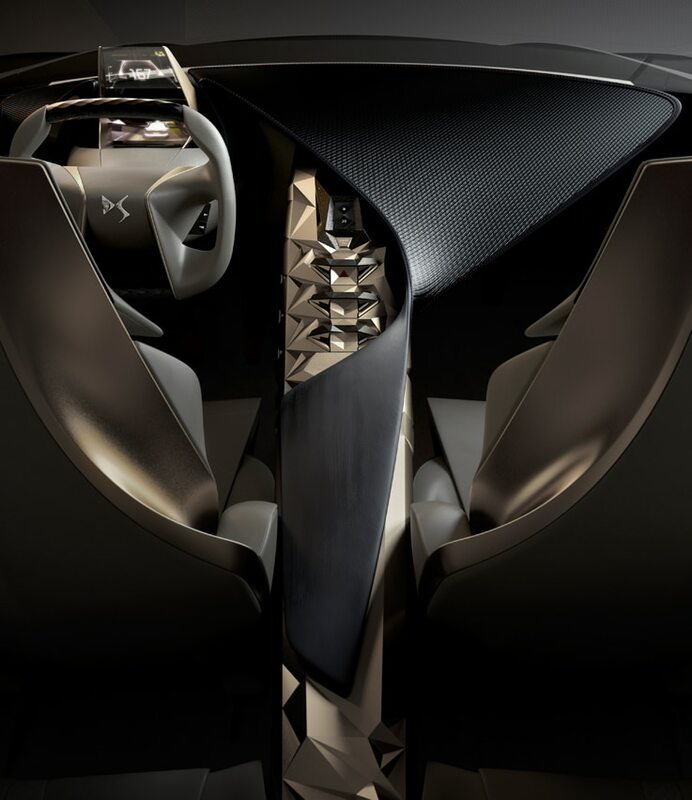 The striking cabin design features a bold, high tech layout with spectacular contrasts, expressing the avant-garde design, refinement and sophistication of DS. The cabin of Divine DS also features a spectacular display of contrasts, between the contours and relief of the driver's cockpit and the flowing lines of the passenger seat. 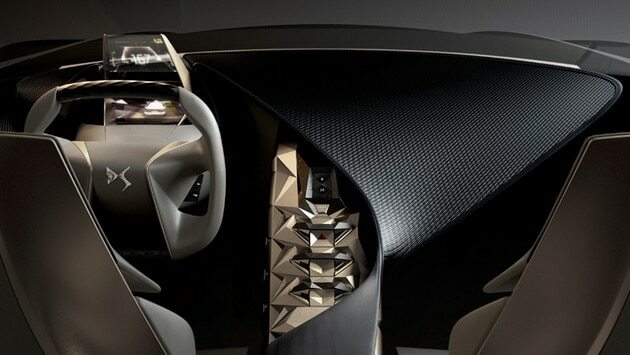 On the passenger side, a single continous drape enfolds the console and dashboard, forming a twist as it reaches the door inserts.The airy-looking drape enfolds the passenger, taking them into a world of haute couture, far removed from conventional automotive standards – a truly original sensory experience. 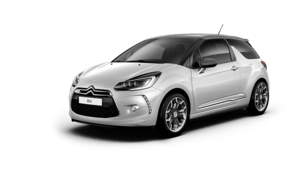 The seats represent a new and visually striking take on the existing DS watch strap design and the rectangular steering wheel is a work of sculpture, promising new driving sensations. 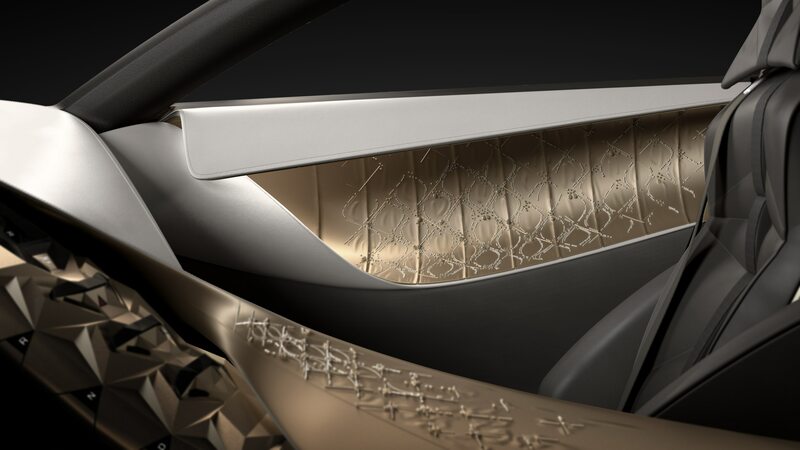 -‘Mâle’ is a sober, contemporary creation, alternating carbon fibre – used as a textile – and glazed, burnished leather. -‘Parisienne Chic’ is an invitation into a world of Parisian sophistication and elegance. -‘Fatale Punk’ creates a bolder ambience, with a darker and more glamorous touch. ‘Hyper-typage’ is a bold concept that gives life to DIVINE DS. This exclusive feature underlines the ambition of DS to bring customers vehicles that fully reflect their personalities. 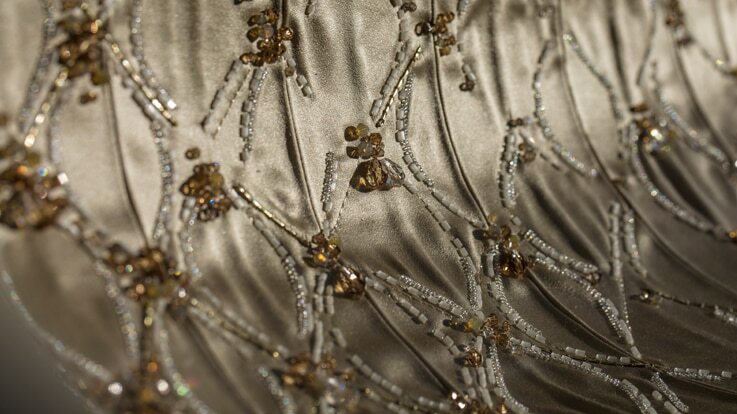 Divine DS reflects the combined expertise of several prestigious fashion names, such as Lesage for embroidery and crystals from Swarovski. The involvement of these firms demonstrates the ambition and capacity of DS to overturn established codes and to bring different worlds together. 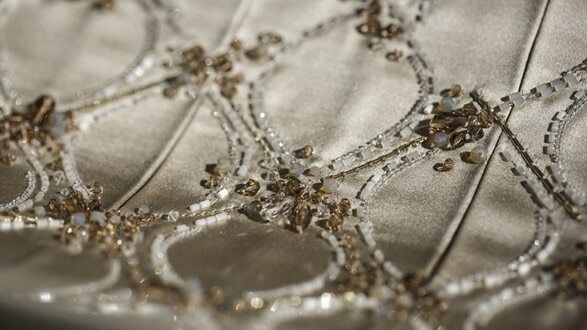 Swarovski crystals: adding a sparkle! 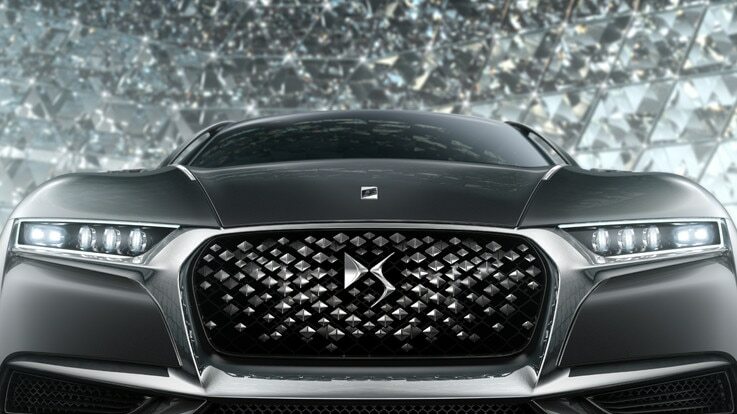 Recognised as a standard-setter in the world of fashion and luxury, Swarovski has adorned the headlights, door panels and dashboard of Divine DS with its crystals, a first in the automotive industry. Lesage embroidery: a work of art! As part of another cooperation project that is truly exceptional within the automotive industry, DS has worked with Maison Lesage, France’s most prestigious embroidery house. The art of embroidery comes into its own in Divine DS with the ‘Parisienne Chic’ Hyper-typage, enhancing the cabin materials and giving new emphasis to the DS monogramme. 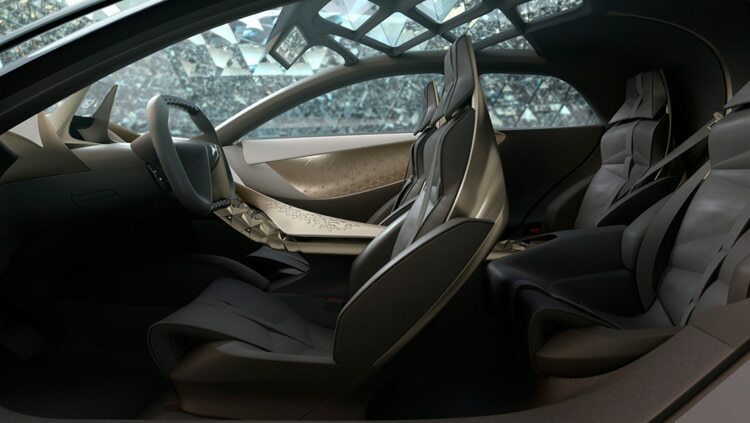 The futuristic headlights reveal the car's hypnotic personality, with spectacular laser lights featuring Swarovski Crystal Fabric at their base. Immerse yourself in a digital world with an HD touch drive interface and digital navigation screens delivering new driving sensations as part of a new, sophisticated and uncluttered ambience. A perfect fit with the concept’s dynamic character, Divine DS is equipped with the turbocharged direct-injection 1.6 THP petrol engine developing 270bhp. With a power maximum output of 199kW at 6,000rpm and maximum torque of 330Nm between 1,900 and 5,500 rpm, this is an engine with outstanding performance.This engine is Euro 6 compliant and emits just 145g/km of CO2.